The Mi Mix 2S has just been unveiled in Shanghai and looks like a huge improvement on its predecessor with more camera features, better AI capabilities, a modern bezel-less design, and wireless charging. Let's take a look at what the new and improved Xiaomi flagship can offer, now that it's finally seen the light of day. The Chinese manufacturer may not have the reputation of Samsung, Sony or other big names in the market, but that does not prevent it from offering its users quality smartphones. The latest in the MIX range is proof of this. The major innovation, apart from the update of some components, concerns the design and the photo capabilities of the camera. The Chinese manufacturer clearly has the iPhone X in sight, as the Chinese smartphone manufacturer spent much of the launch event comparing the Mi Mix 2S to Apple's flagship. As the pictures of the Xiaomi Mi Mix 2S illustrate, the smartphone seems to want to push the limits of the 18:9 format by proposing a smartphone whose front face is almost entirely covered by an AMOLED screen of 5.99 inches in Full-HD+ resolution (2160 x 1080 pixels). It isn't totally bezel-less, since the bezels are slightly visible but they are quite slim overall. Unlike the iPhone X, the device does not have a notch. The front camera is located at the bottom of the unit. Of course, Xiaomi has improved the camera with a dual camera at the rear (including a Sony IMX363 sensor). For the first time, this configuration enables a smartphone of the MIX series to use portrait mode on photos, or to take pictures of a subject with a blurred background, a.k.a. the bokeh effect. For DxoMark, the quality is there because the photo specialist has already awarded the Mi Mix 2S a score of 101, the same score as the iPhone X. This is not the first time we have encountered this term. Even the new Galaxy S9 and S9 Plus have this mode that captures many images when shooting and stitches them together to eliminate noise. It is not a surprise to find this mode on the Xiaomi Mi MIX 2S because this function is possible thanks to the Qualcomm Spectra 280 ISP present in the Snapdragon 845 used by the brand. The Mi MIX 2 features the classic slow motion mode in 720p and 120 fps. Its successor offers a mode with a resolution of 1080p and 120 fps, or 720p at 240 fps. We're not even close to new cutting-edge standard like Sony's super slow motion 1080p or Samsung's 720p, but it's always a welcome improvement. Xiaomi wants to offer the best in photography and has therefore decided to equip its smartphone with all the latest technologies available. One of these is HEVC/H.265 video encoding, which allows the MIX 2S to record video while preserving the quality but reducing the size of the files produced by 50% (as indicated by the H.265 standard compared to the previous H.264). There are also two additional features called Parallel Processing and Dual SAT, but there is still no indication what these two names actually mean. Under the hood is a Snapdragon 845 processor with 6GB or 8GB RAM. Xiaomi showed an impressive AnTuTu score of 277,178, proving that the new phone is much faster than the competition, but we'll reserve our judgment on this until we can try it in the real world. You can get versions with 64GB, 128GB or 256GB of storage inside. It obviously runs Android 8.0 Oreo with Xiaomi's MIUI on top. Good news also, the smartphone is ARCore compatible for augmented reality. Xiaomi has also included its Xiao voice assistant with new voice commands that allow you to wake up the screen, set reminders or take selfies. All this in Chinese of course. One of the defects that has distinguished the Mi MIX series since the first model is the absence of Qi wireless charging. Despite the ceramic body, so far Xiaomi has never included this type of charging in its smartphones. We know that Xiaomi has plans to bring its smartphones to the United States, potentially towards the end of this year. This could open up some interesting options for American Android aficionados, as so far Xiaomi has avoided being being targeted by US government's backlash against Chinese manufacturers. As for the price, though we can't yet confirm anything, we can take a guess by converting the Chinese prices. No doubt Xiaomi will keep its prices competitive in the international market. At The basic Mi Mix 2S model with 6 GB RAM and 64 GB storage costs 3299 Chinese yuan (about $527). The high-end model with 8GB RAM and 256GB storage costs 3999 Chinese yuan (about $640). Have you ever used a Xiaomi smartphone? Do you hope to see the Mi MIX 2S come to the US this year? Like performance, it's impressive: the 277,178 point score on AnTuTu says a lot about this phone, with very good features at an affordable price. 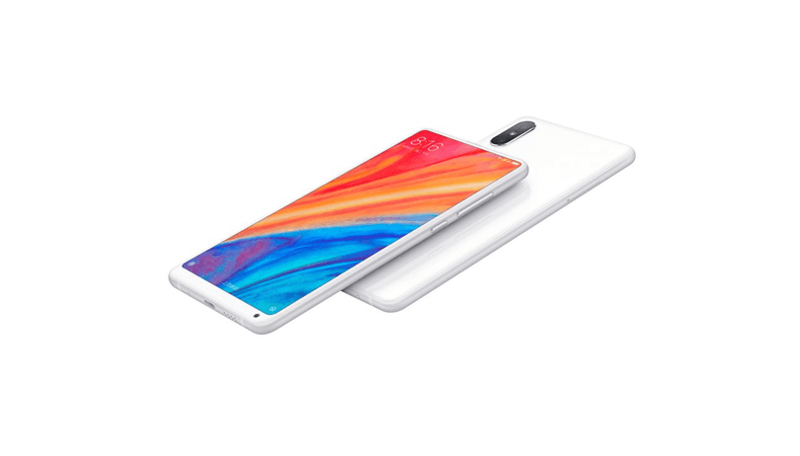 The Battle of the Big (and Exaggeratedly Expensive) phones is won by the Mi Mix 2s, the price / performance ratio being very good. The large screen and thin edges make this phone a great option for those who want performance at a decent price. Is display LCD or AMOLED (burn-in)? In addition to having a more reasonable price than the competitors, I also hope Xiaomi skips the notch trend. Exactly! When the "top 2" phones in the market, have prices upwards of 1000 dollars, but a BUILD cost of around 300 dollars, THAT is nuts! But people seem to be willing to pay it, or they wouldn't price it that high.